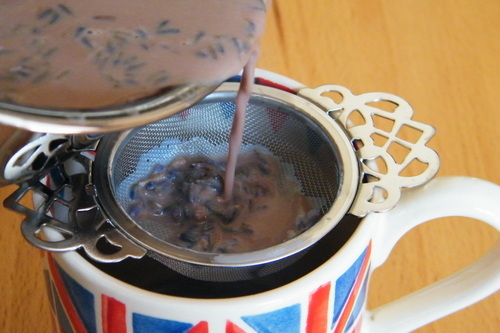 Warm up and relax with lavender hot chocolate! I really wish this weather would make its mind up! Just when I think we’re having an early summer, it all turns dark and wintery again. 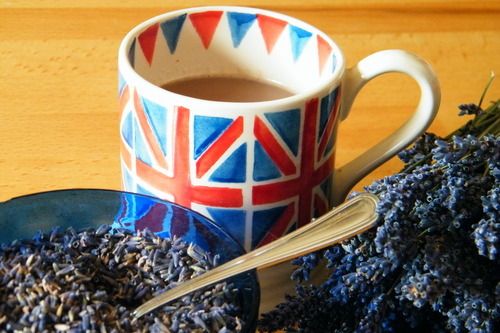 So it’s not too late in the season for a warming hot chocolate, and why not add a little variety with culinary lavender? 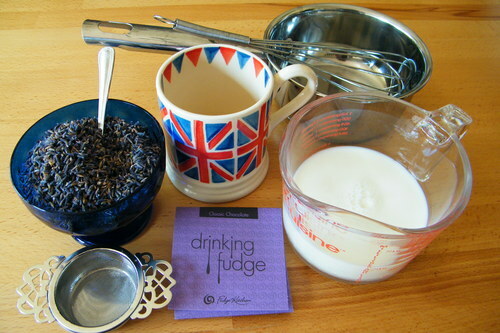 Sprinkle the lavender into the warm milk and bring almost to the boil (you could also do this in the microwave). Once heated through, add your favourite hot chocolate mix or real grated chocolate. …and drink! 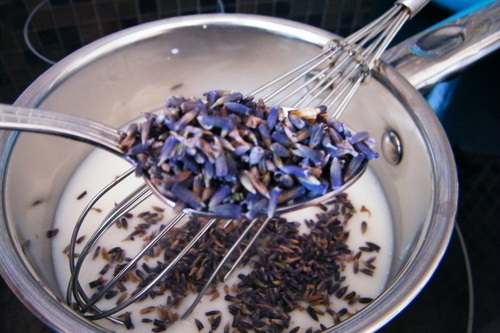 I am not an unquestioning fan of lavender in food, but this was sweet, creamy and relaxing too. 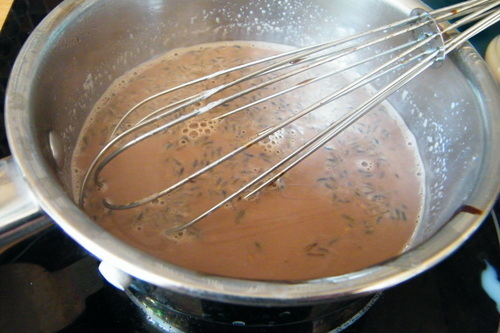 Of course, you could leave out the chocolate and just make a relaxing milky bedtime drink. Buy culinary dried lavender from Provence in a 60g kraft pack or gift tin, or 1Kg bulk pack of UK grown lavender.